Volt ($0.99) by Adrian Kumorowski is a electrifying new physics-based puzzle game that will prove to be a challenge. 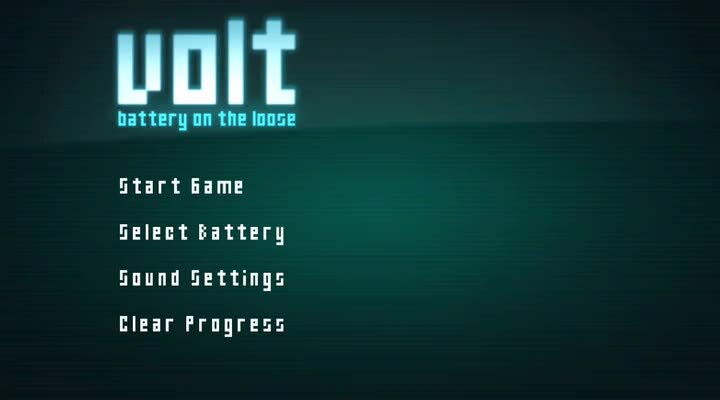 If you enjoyed games like Cut The Rope and Sky Tourist, then you will get a kick out of Volt. 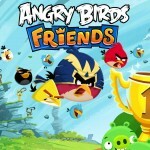 When I play games on my iPhone, I will usually go for the puzzle game, especially if it involves physics. There’s just something about physics that keeps me coming back for more, even though I was never good at the subject in school — ironic, I know. It’s been a while since I’ve found a good physics-based puzzle game though, so when I stumbled on Volt over the weekend, I had to give it a try for myself. I’m in love with the visual art style that is found in Volt. The overall theme of the game is dark and moody, which works well. 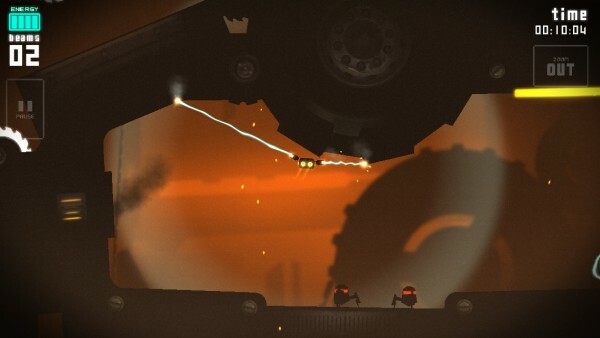 For the most part, the game has a flat aesthetic in the foreground, with dark silhouettes of machinery and other dangers against a blurred but captivating background. The light effects look fantastic and serve as a nice contrast with the darker areas of the levels. 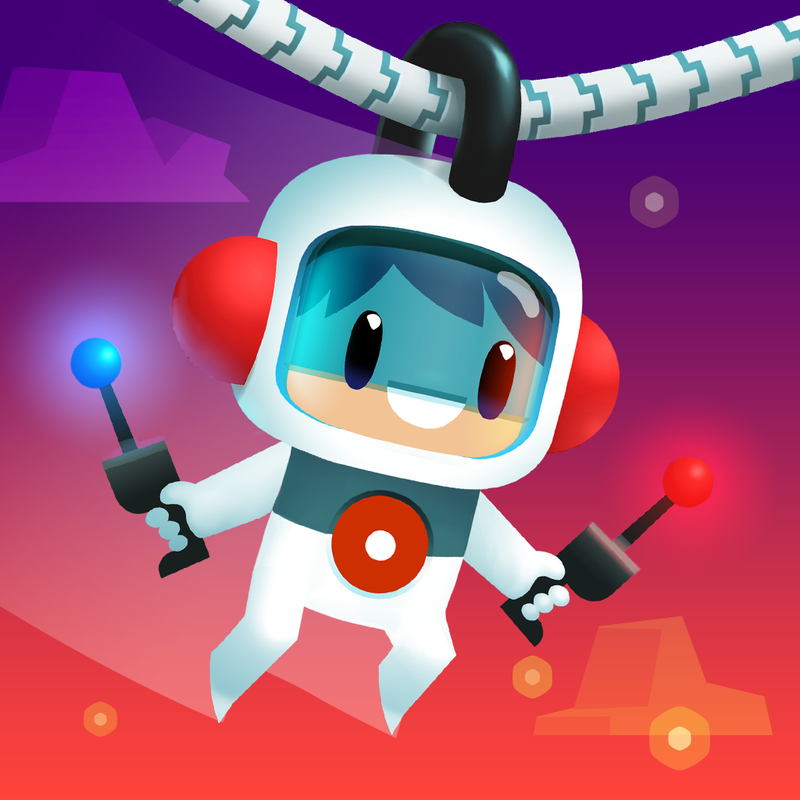 Our main character, which is a battery with no legs, is cute and charming with the glowing eyes (the + and – signs) and electric connections that it swings from. 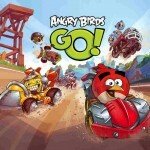 The animations in the game are smooth and fluid, and the soothing ambient soundtrack is a delight to the ears. The electric sound effects are also a nice touch. Before we start questioning why a battery with no legs is on the run, let’s dive a bit into the plot. Essentially, a battery was on its way to the recycling process, but fortunately for the battery, it managed to run off somehow (and to the dismay of the environment). Now, this lonesome battery must escape the facility, which is going to hard for an inanimate object. However, the battery is armed with a limited number of electric beams that connect it to walls or give it the ability to move or destroy objects, turn on switches, and even charge generators. It all depends on the physics and gravity. Volt has over 60 levels spread out over four industrial-themed zones, so there is a lot of bang for your buck here, especially since getting through these stages and mastering them is no easy feat. 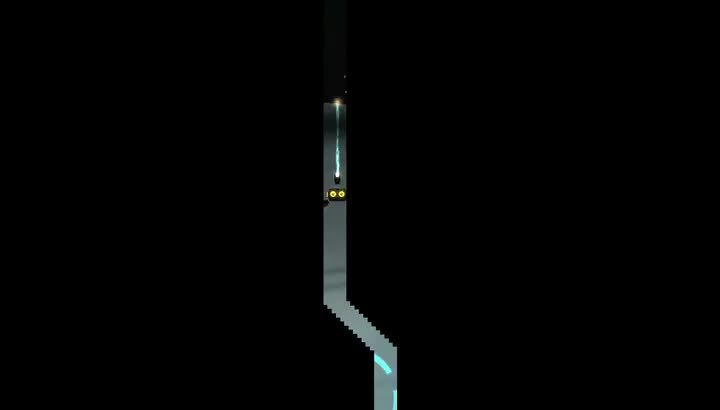 The objective for each level is simple enough: help the battery get from the starting point to the exit, which is a portal that looks like a small, black box. While you can take as long as you need to in order to get to it, you’ll want to beat it within the time threshold to “master” it. There is also the fact that you have a limited amount of energy for the beams, so careful planning and strategy is also required. The controls themselves are easy enough. 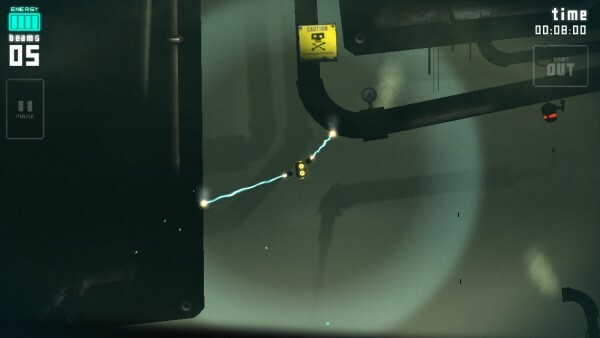 When the battery is hanging from an electric beam, you can swipe your finger across the connection (a la Cut The Rope style) to make the battery fall. When it’s on the ground, a tap on the battery will make it jump. When it’s in the air, a soft light circle appears around the battery — this indicates the area that you can tap to make a new electric beam. 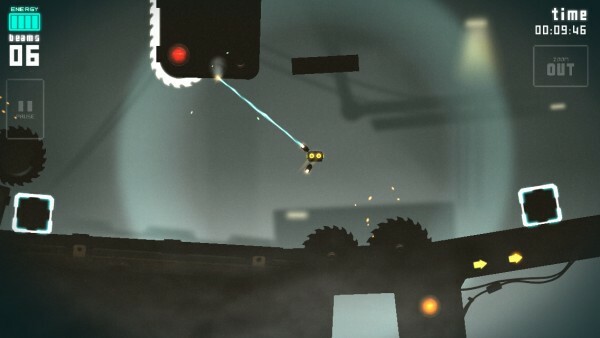 The beams can also be destroyed by obstacles like spinning chainsaws or energy walls over time. The icon in the top left corner tells you how much energy you have left to make a link, so think ahead — there will be a lot of trial-and-error involved. To top things off, there will be boss battles to swing your way through, more battery characters to unlock, as well as hidden 16-bit levels. I’m a bit surprised that there is no Game Center support though, as the completion times would have made for some good competition on leaderboards. I’m always a fan of these types of physics-based puzzle platformer style games, and Volt does not disappoint. The only annoying thing will be the controls at first, because you will need to learn to get used to them and master them to beat all levels. But everything else — the graphics, music, sounds, and gameplay mechanics — are unique, appealing, and challenging. I recommend anyone who enjoys a good physics-based puzzle platformer game to pick this one up. 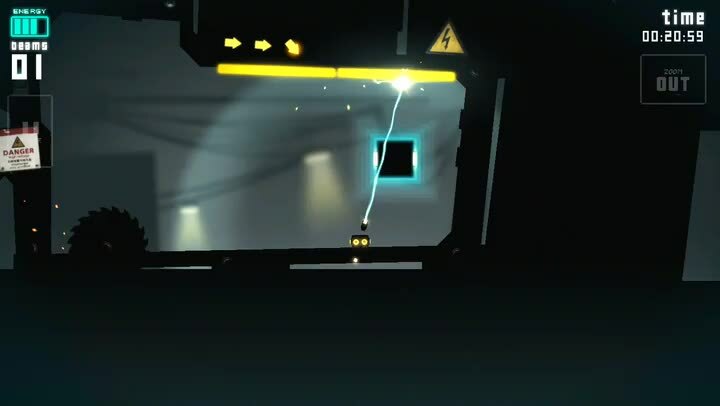 Volt can be found on the iPhone App Store for $0.99.